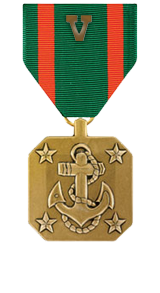 Professional achievement in the superior performance of his duties while serving as Squad Leader, 3d Squad, 2d Platoon, Company K, 3d Battalion, 3d Marines, Regimental Combat Team-7, I Marine Expeditionary Force Forward, from March to September 2006, in support of Operation IRAQI FREEDOM. Displaying consistently high qualities of leadership, and dedication in the execution of his duties, Sergeant Stickles excelled as a squad leader. He effectively led his Marines during 200 combat patrols, four company operations, and four detention operations. 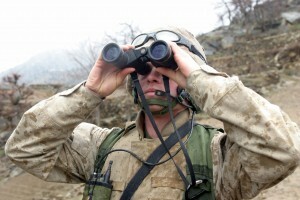 While conducting sustained combat operations, Sergeant Stickles expertly directed his squad’s actions during a suicide vehicle borne improvised explosive device attack, a command initiated improvised explosive device attack on a patrol, and during two attacks on the company’s forward operating base. During several engagements, sergeant stickles calmly and effectively led his marines while exposing himself to enemy fire in order to control the actions and fires of his squad. Sergeant Stickles’ initiative, perseverance, and total dedication to duty reflected credit upon him and were in keeping with the highest traditions of the Marine Corps and the United States Naval Service.